Today Michael Parsons for The Irish Times has written an article about the auctioning of the first ever Marconiograph message ticker tape. Read it here. 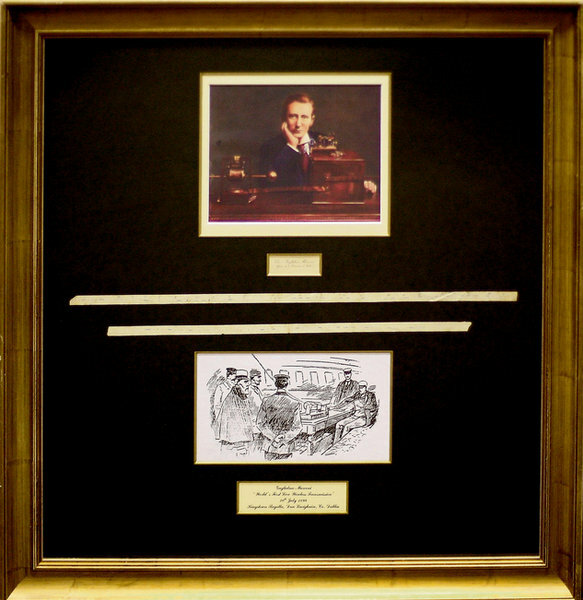 Marconi's invention came about in 1909, it wasn't long before Fr Browne became a competent Marconiograph operator, often giving lectures on its use. It is no wonder he photographed the Marconi room on The Titanic in 1912!